I have DREAMED about being associated with Star Wars. To a small degree, that dream came true in 2008 when I was invited to create an original, limited-edition art print for the Star Wars Celebration in Japan. Making an art print didn’t mean that I was suddenly rich and famous. In fact, it’s now eight years later and I am still VERY far away from being rich and famous. BUT, I can say that I am an officially licensed Star Wars artist, and that’s pretty cool, but I can also say that I have help to FIX something in the Star Wars movies. (see image above). One year after the Star Wars Celebration in Japan I was invited to be one of six artists creating new designs for the on-demand manufacturing company Zazzle. 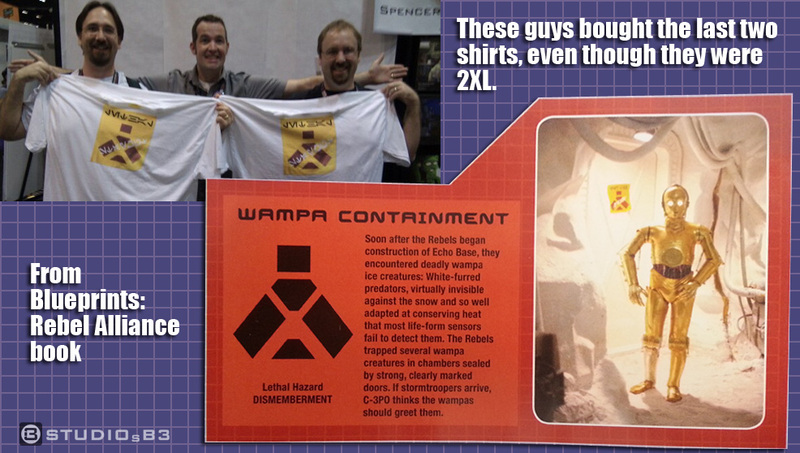 All of the designs that we created had to be approved by Lucasfilm before they would be available for use on the site. Each of the approved the designs then became part of the official Star Wars Style Guide. That means that other companies making Star Wars products can use the existing approved art from the Style Guide instead of creating new art. We don’t get paid an sort of residuals for this usage, but it’s fun to see something that I made on various products. The Star Wars Celebration V event in 2010 was celebrating the 30th anniversary of The Empire Strikes Back. I created a Return of the Jedi print for the show so I went to work under my agreement with Zazzle to make something special from The Empire Strikes Back. It’s a SUPER nerdy story, but here it is. 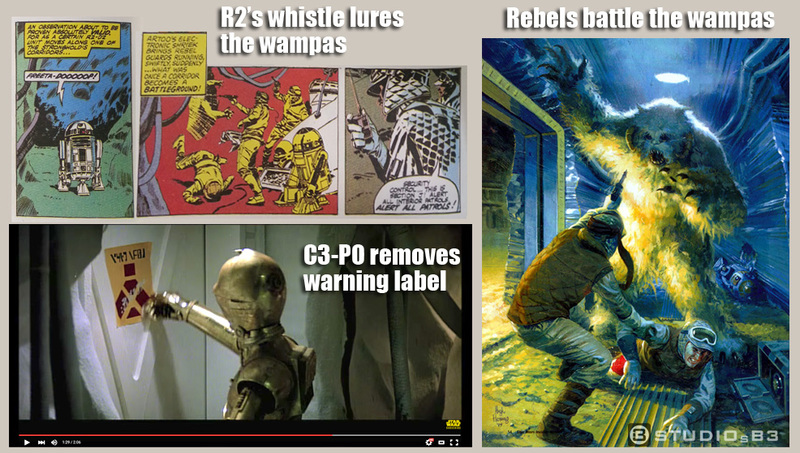 The Wampas were attracted to R2-D2’s whistles so they followed him and were trapped and captured. To keep everyone away from the captured beasts a warning sign was added to the door. 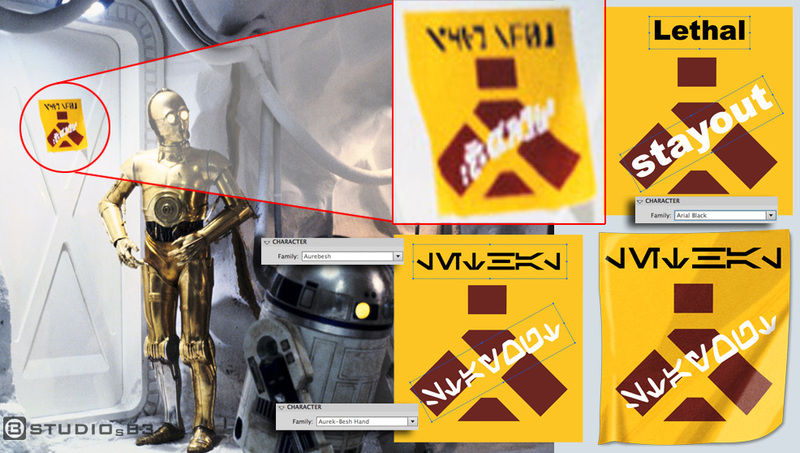 As the Rebel base was overrun by the Imperial forces C3-PO walked past the door, stopped, turned back, and removed the sign from the door (seen in the trailer). Several Snow Troopers were attacked when they unknowingly entered into the room. In the video below you can see these deleted Wampa scenes and understand why they were not included. Leland went on to point out that “…the Blueprints: Rebel Alliance book states that the symbol on the warning indicates “Lethal Hazard: DISMEMBERMENT”, though we don’t address the text specifically. On the sign, the text at the top looks like a computer font that reads: \”4(-]\F01 which isn’t much help. The white text across the symbol looks like it may have been handwritten.” I finally settled on LETHAL for the top text and STAYOUT for the white text across the logo. When it was all said and done I ordered a few boxes of t-shirts and had them shipped directly out to Florida so I could sell them at the Star Wars Celebration. The shirts completely sold out. These two guys came up near the end of the show and wanted the shirts, but the only two I had left were sized 2XL. They bought them anyway! Two years later at the Star Wars Celebration in Germany I ran into these same guys. They laughed about the shirt and asked if I’d seen the LEGO set with my design in it. I was so SHOCKED! 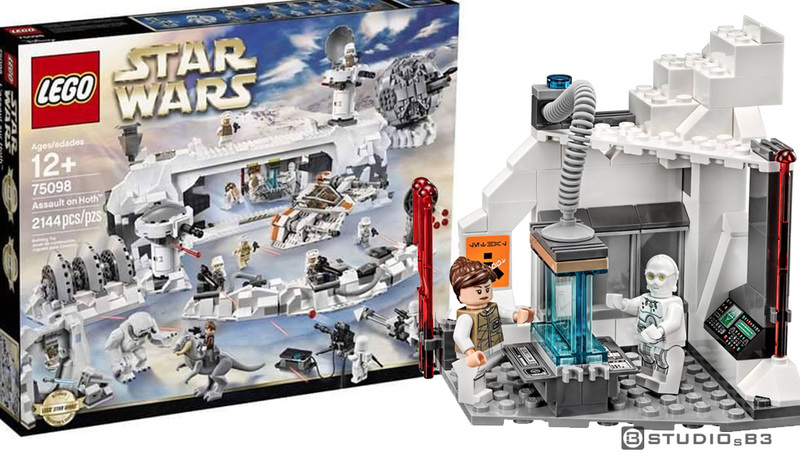 I knew that the design would go into the Star Wars Style Guide, but I never thought that it would have been used in an official Star Wars LEGO set! 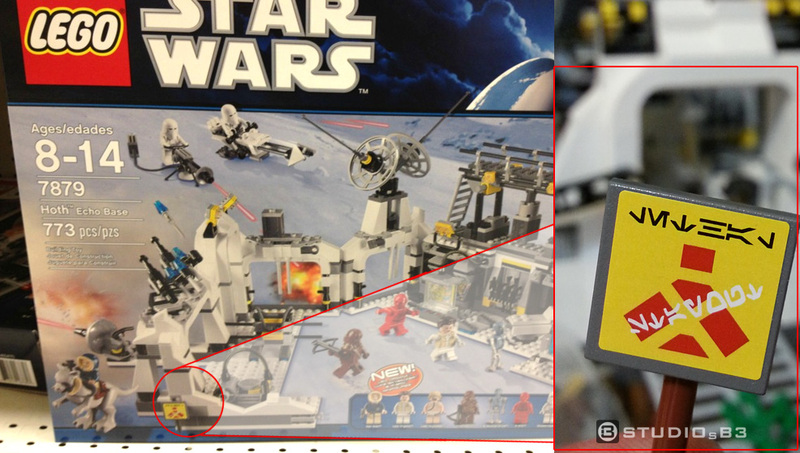 This is particularly exciting because there has been a new Hoth LEGO set that has just been announced that will once again include the sign that I helped to create.